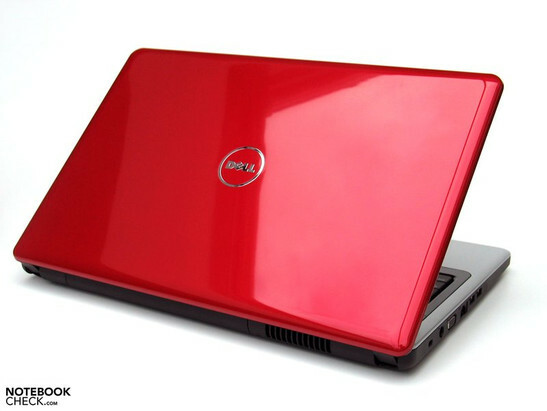 The notion that notebooks with a large display are also expensive is refuted with the latest Dell Inspiron 1750. The notebook is already configurable starting at 399.00 Euros, although it's possible to quickly beat this bargain with a few special requests. Now, find out what the DTR notebook with an office configuration really has to offer. 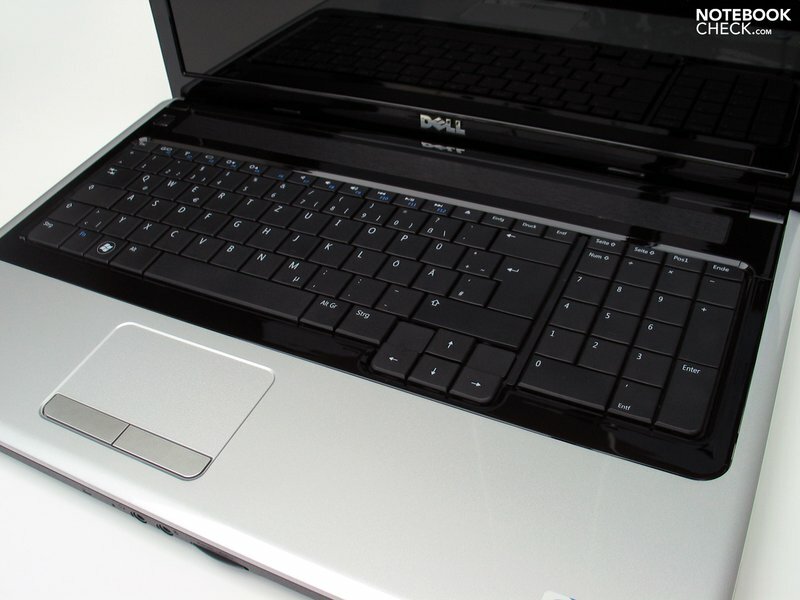 Dell updates their models more or less regularly since the introduction of the Inspiron 1700 series. In view of performance, the representatives of this model range coexisted in the shadows of the performance-orientated XPS notebooks. 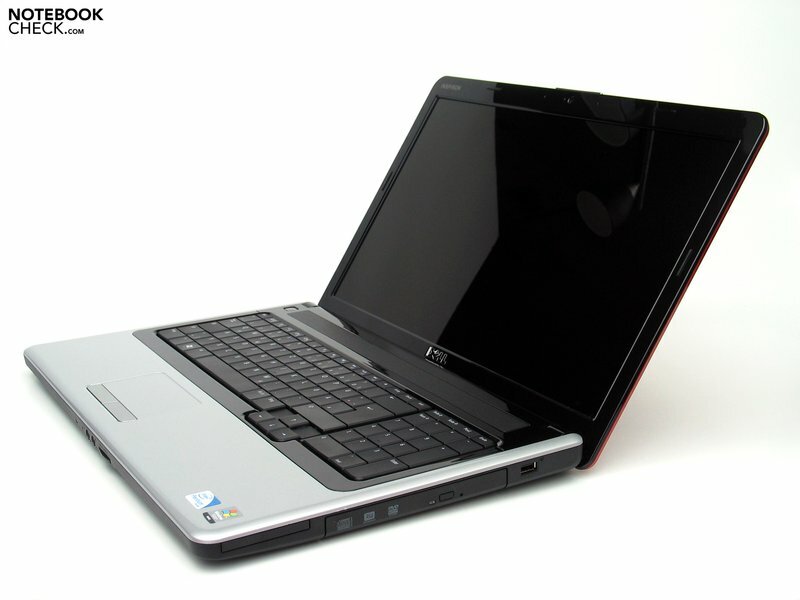 The Inspiron 9400, a forerunner of the latest range, was thus one of the last high performance Inspirons. 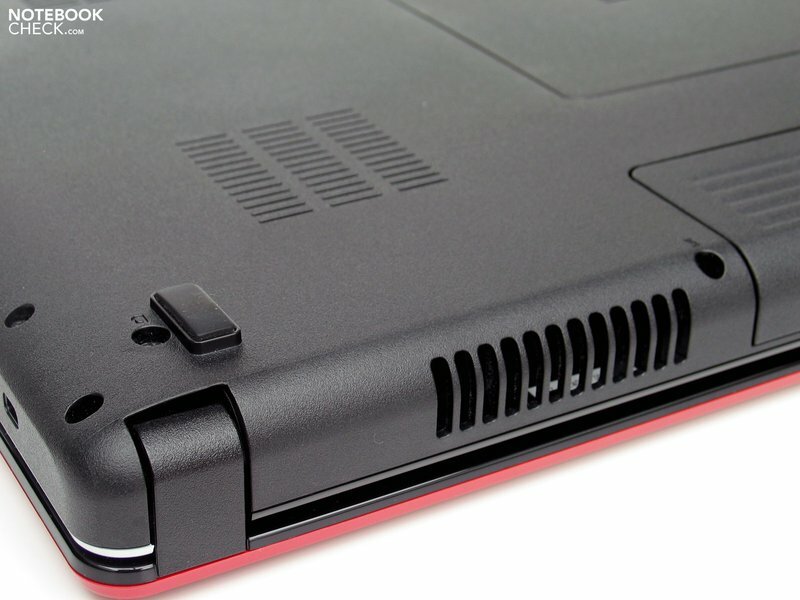 The current Inspiron 1750 range continues on the path of budget office notebooks in an XL size, but can be upgraded with Intel Penryn CPUs and the ATI Mobility Radeon HD4330 to at least a low multimedia level. The price range from about 400.00 Euros for the lowest priced alternative to up to 700.00 Euros and more turns out to be quite impressive. The trend to 16:9 cinematic displays continues unabated. No wonder then that the latest Inspiron 17 generation jumps on to this bandwagon and now bids a 17.3 inch display. This also has, of course, an intermediate effect on the case, which is somewhat more elongated. Meanwhile, many manufacturers use an optical illusion to their 16:9 models in order to be able to fall back on an adequately sized base unit, despite the slim display. The hinges are implemented directly into the back edge of the base unit, whereby the display sinks behind the device when opened. Thus, the lower 4 -5 centimeters of the display lid's construction height is ingeniously hidden from sight and the slim screen with an image height of 21.5 centimeters fits itself perfectly to the base unit's depth of 27.5 centimeters. Despite the comparatively generous dimensions of around 279x417 millimeters, the case makes a mobile impression, to which the rather slim design and the wedge-shaped construction of the notebook and the weight short of 3 kilograms contribute. Apart from the display lid, the device presents itself as colorfully very restrained with an interplay of black and silver surfaces, and in a matt or high-gloss version. The display lid can now, if desired, be used to individualize the notebook. 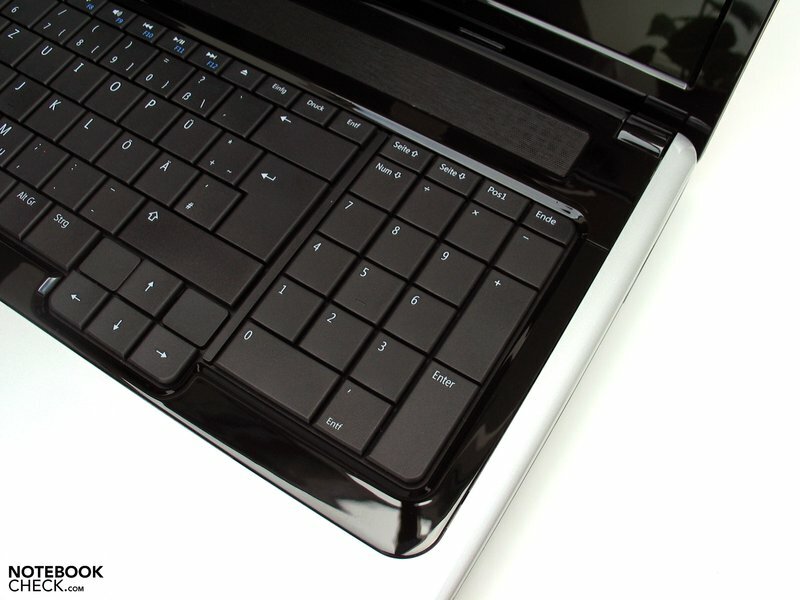 In any case, a black, high-gloss display lid with the chiming name "Obsidian Black" is included in the price. This can be exchanged for a blue ("Ice Blue") or a red ("Cherry Red") faceplate at a surcharge of 39,00 Euros. All with a high-gloss finish, though. The case stability turns out overall satisfactory. The base unit has a good torsional stiffness, but let's itself be deformed a bit under point pressure. Slight creaking noises could be perceived, too. The display also scored only average in this point. Aside from that, it was noticed that the display lid couldn't completely prevent a luffing of the display. A view around the case suffices to evaluate the given connections. 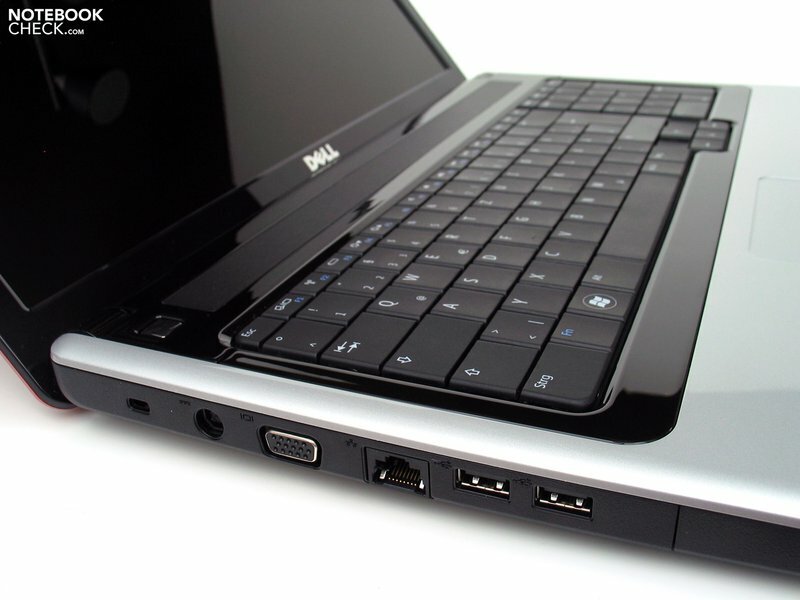 The Dell Inspiron 1750 has the level of a netbook with three USB ports, VGA and LAN port. 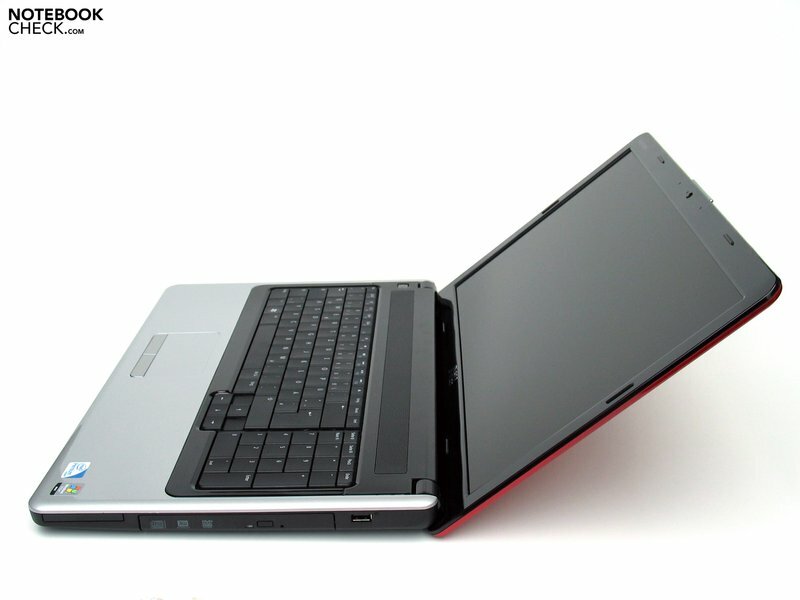 The 17 incher can only differentiate itself by the ExpressCard slot on the right side edge and the optical drive beside it. If you belong to the BluRay disciples, the Inspiron 1750 can be equipped with an according drive for a surcharge of 140.00 Euros. The arrangement of the single ports is alright. You have to live without possibly interesting interfaces such as eSATA, Firewire or a digital display port. Dell builds in an Ethernet adapter from Marvel Yukon (88E8040 10/100) and various WLAN modules in view of communications. In our test sample for instance, Intel's WiFi Link 5100 (b/g/n) was deployed. Bluetooth is also available for the Inspiron 1750, but has to be budgeted with a surcharge of 40 Euros. In regards to warranty, all configurations are promoted with a one year basic warranty at first. Not until the second configuration step does Dell try to make various upgrades up to 3 years on-site service (additionally about 130.00 Euros, depending on the various options) tasty in its web shop. The customer then again has the possibility to extend the service contract up to 4 years in further succession (+29.55). Particularly the surcharge of 130.00 Euros for a three year support seems to be very appropriate to us. 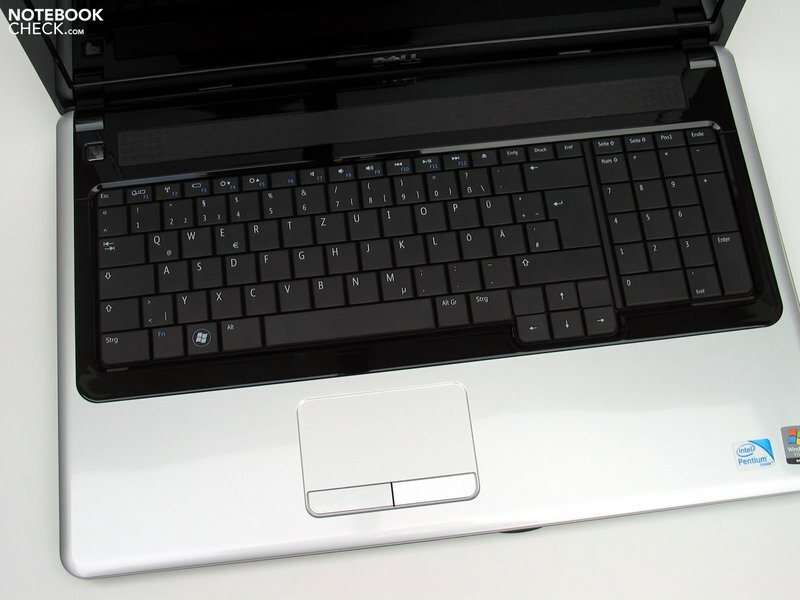 In contrast to the given connections, Dell uses the entire space available for the keyboard and also integrates a numerical block into the case, aside from the standard keyboard unit. The single key size turns out quite liberal, and the keyboard layout doesn't have any hidden surprises. Touch-typing was possible right away without further ado. A fairly short stroke length with a very evident pressure point distinguishes the type feel. We have to point out that the keyboard bends considerably under pressure, which even leads to a very disagreeable noise when striking the keys in the area of the numerical block. There have also apparently been cut backs in regards to more or less expedient hot keys. 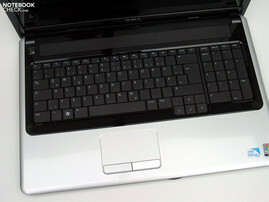 In return, Dell has engaged the F-keys with all necessary additional functions (WLAN, brightness, etc. ), and these as primary key controls. The touchpad integrates itself straightforwardly in the overall design and has a roughened and good gliding surface. The size of the pad has turned out equally generous. 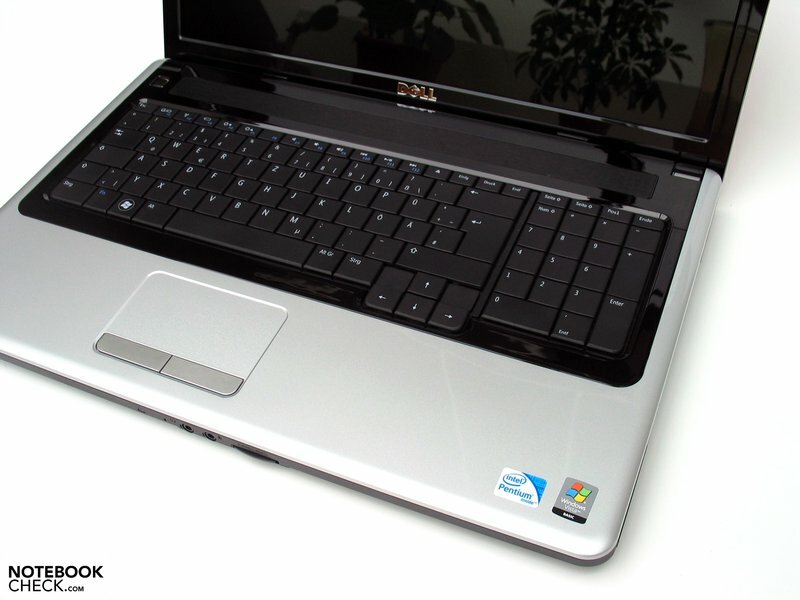 Both touchpad keys respond well and have a longer stroke length than found in most other notebooks, which is "Dell-typical". There will be two different screens available for the Dell Inspiron 1750. On the one side, an HD display in a reflective "TrueLife" variation with a resolution of 1600x900 pixels (as in our test device), and according to information in the web shop, also a full HD display with a resolution of 1920x1080 pixels as of September 2009, equally as a glare edition. In our opinion, the lower resolution display already has a good overview and is perfectly suitable for an all-round notebook use. The full HD screen is therefore rather more conceivable for users with a high requirement in regards to desktop and overview, or for full HD fanciers who want to savor the complete image quality in the configuration with the BluRay drive. The maximum assessed display brightness of our test sample was 197.6 cd/m2 in the central display area. With a brightness decrease in the upper corner areas down to 161.0 cd/m2, the screen achieved an illumination of a still acceptable 81.5%. 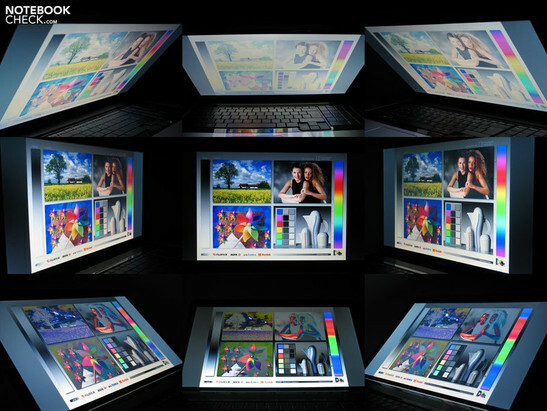 The built-in screen reached a maximum contrast of an acceptable 176:1 with a black value of 1.12 cd/m2. We evaluated the color representation quality subjectively as intense but definitely too cool. Blue tones have obviously been given too much credence. 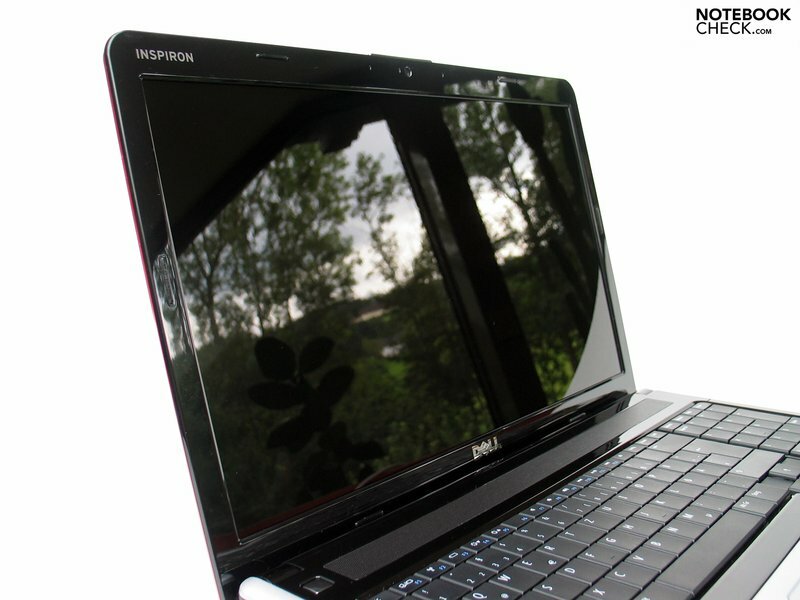 The Dell Inspiron 1750 isn't at all suitable for outdoor use. The glare display already causes unpleasant reflections indoors at adverse light conditions. This prevents working reasonably with the notebook outdoors. The viewing angle stability can't really be called overwhelming either. It already comes to color changes in the vertical viewing area at small deviations from the ideal, perpendicular visual axis. The represented images stay stable longer in the horizontal area, but annoying reflections turn up very fast here. As already initially mentioned, the Dell Inspiron 1750's performance range covers office basics up to simple multimedia applications. The starter alternative with Intel Celeron CPU and GMA 4500M HD is only recommendable for undemanding users, as the single core architecture of the CPU comes quickly to its performance limits at multitasking. 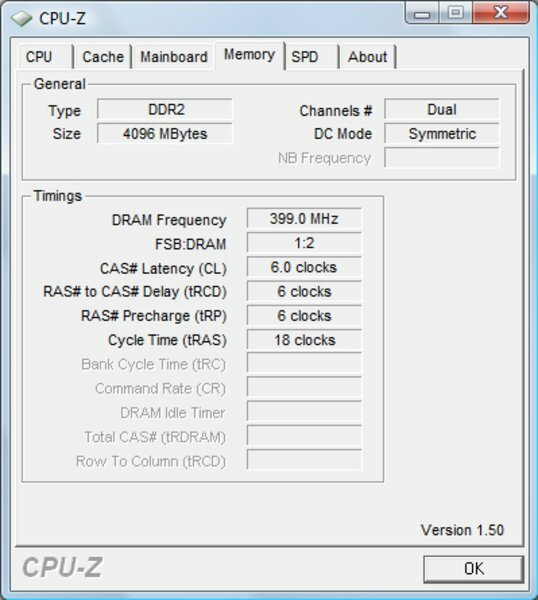 The alternately obtainable Intel Core 2 Duo processors up to the T9600 CPU, available as currently the strongest option in the online shop, do have significantly more resources. With a surcharge of, believe it or not, 530.00 Euros!! (13. 08. 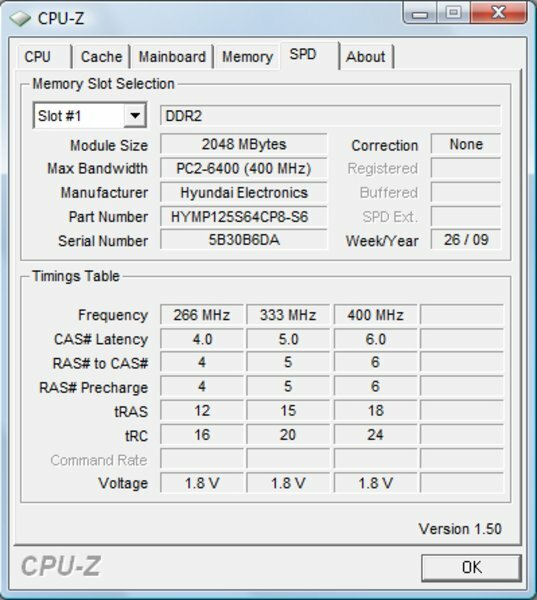 09) Apparently Dell has made a mistake on the P8600. The current Intel prices at a purchase of 1k/piece is, in contrast to this, $209 for the P8600 CPU and $316 for the T9600 chip. The prices have been corrected after our publication, and the T9600 CPU can now be purchased for a surcharge of 230.00 Euros, which we find as equally unattractive in view of Intel prices. Be that as it may, the chip should only be interesting for exceptional users who are dependent on especially high processor performance, anyway. For "Joe Public", the P8600 CPU represents the upper limit of the interesting value for money ratio. In view of graphics, most models are based on Intel's integrated GMA 4500M HD Graphic solution, which covers simple office and multimedia applications with the target group in mind. 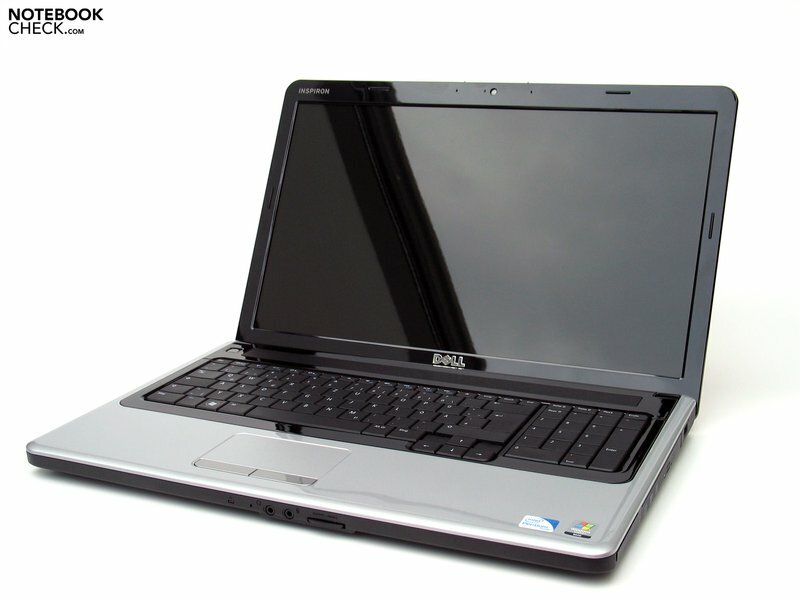 However, in order to be able to offer an according model for consumers who prefer a dedicated graphic card, Dell also has the ATI Mobility Radeon HD4330 Graphic card with 256MB video memory in its range. This graphic solution is to be classified as starter multimedia hardware, which moves in about the performance field of the Geforce 9400M G of its competitor Nvidia. Big leaps of performance shouldn't be expected with this, but older 3D games can be managed at low to medium details. Computer game fans will fare considerably better with the XPS line from Dell in any case, or should even fall back onto the newly integrated Alienware brand. 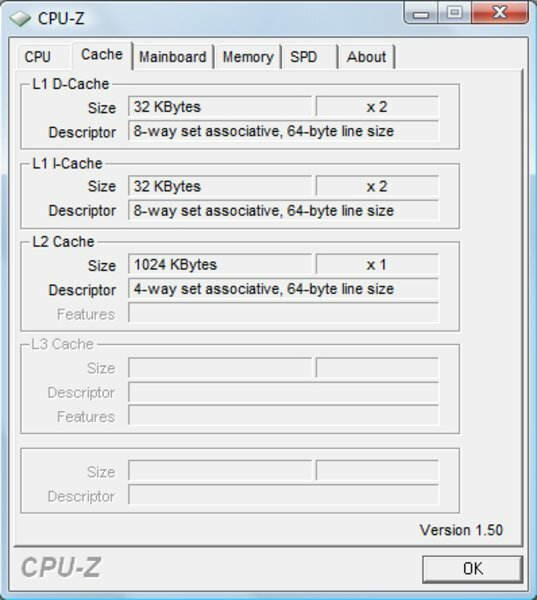 Current games like Sims 3, however, already run in the configuration tested by us at minimum graphic requirements. Even World of Warcraft or the shooter classic Counterstrike might run on the notebook, however with only unattractive graphics at most. A graphic card and CPU update might be wise here in order to keep the refresh rate in a smooth field for somewhat more worthwhile graphics. Details can be found in our gaming list of mobile graphic cards. The office orientated audience is well served with the combination of an Intel Dual Core T4200 CPU with 2.0 GHz (800 MHz FSB, 1 MB L2 Cache) and the integrated Intel GMA 4500M HD as in our test sample. Simple office task such as word processing, spreadsheets and internet aren't a problem and even simple image editing programs run without difficulties on the device. 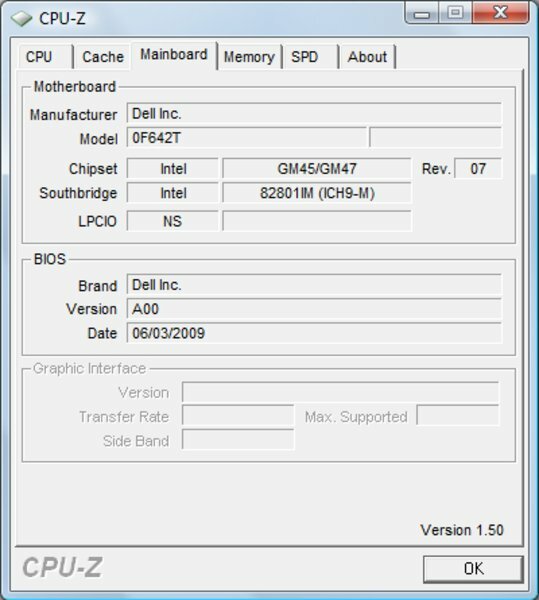 The 3GB of RAM already integrated by Dell in most devices would suffice for this, although our test sample was configured with 4 GB. 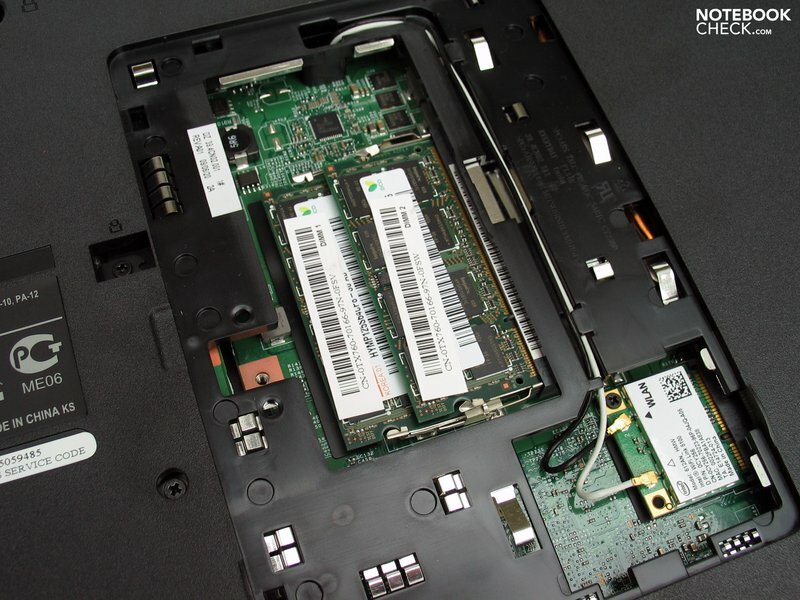 A DDR2 memory is used exclusively here, whereby the Inspiron 1750 can theoretically be upgraded to 8 GB (2x4GB). Dell also has this offer in their online shop, whereas the surcharge of about 334.00 Euros is equally imposing. A gut feeling will probably be decisive in regards to the apprehended memory need, as there are two available hard disks with either a capacity of 320 GB or 500 GB (+50.00 Euros surcharge), both with a velocity of 5400 rpm. The built-in 320 GB hard disk from Seagate (ST9320325AS) of our test sample was within an average field in the HDTune benchmark results without inconsistencies. 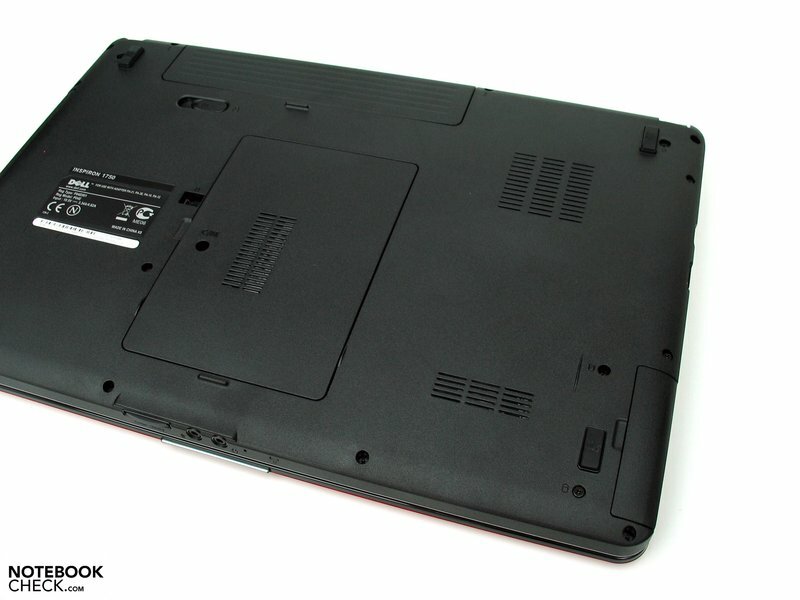 Basically, it would of course be possible to build in other hard disks into the Inspiron 1750, which shouldn't prove to be too difficult, even for laymen, due to the case's maintenance flap on the left side. Naturally, the same applies to the RAM, which is also very easily accessible via an own cover on the bottom side of the notebook. 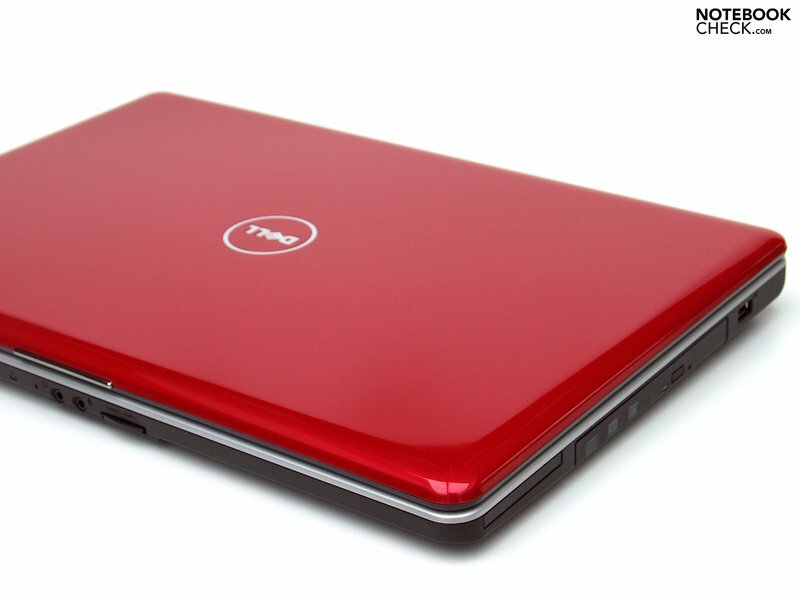 It was pleasing to note that the Dell Inspiron remained agreeably quiet in its main operating field. The notebook always stayed in an audible but absolutely undisturbing range of merely 32.4 dB(A) without significant load, hence internet surfing, typing text and such things. 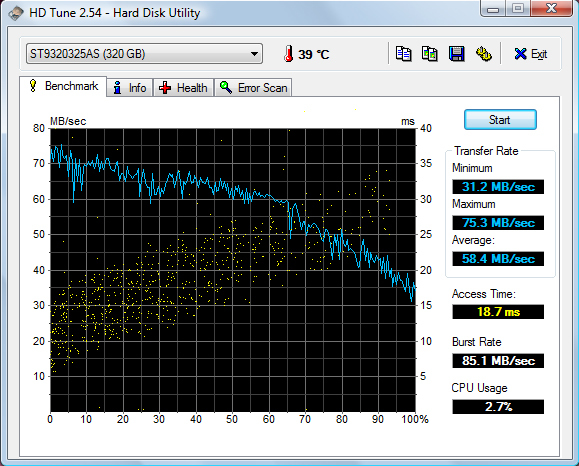 Even DVD rendering turned out to be comparatively quiet with 36.2 dB(A). 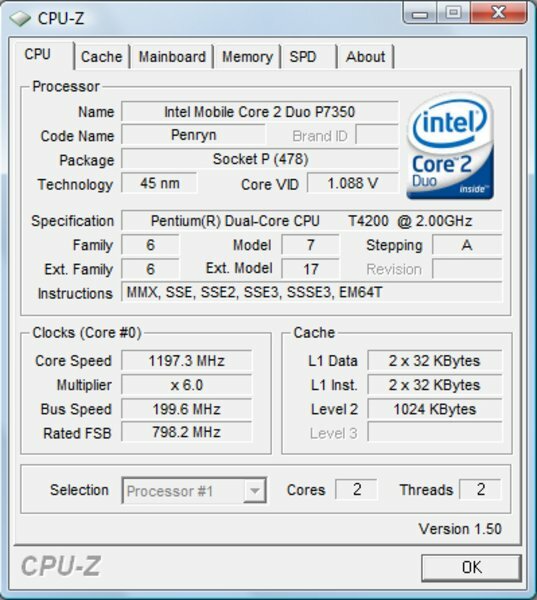 We could evoke up to 39.2 dB(A) under consistent utilization of the core components (CPU and GPU) out of the notebook. Still a very unproblematic level, which will probably barely ever be seen in the practice. This can, however, reach a higher level for fractions of a second as soon as the fan starts up. 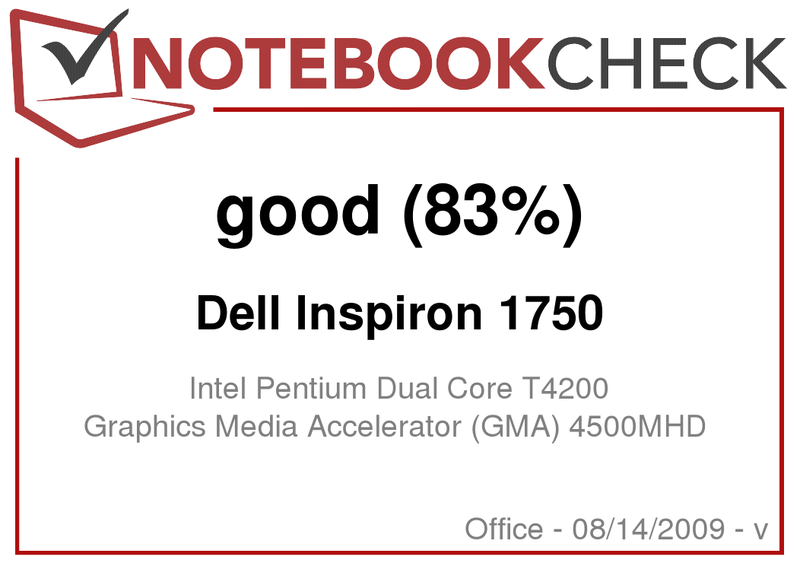 The Inspiron 1750 doesn't warm up significantly in office mode. The maximum established surface temperatures didn't surpass 31.3°C on the upper side and 33.4°C on the bottom side. The notebook did heat up a bit more with load and reached a maximum of 40.3°C on the upper side. Contrarily, the bottom side stayed comparatively cool with up to 35.7°C. 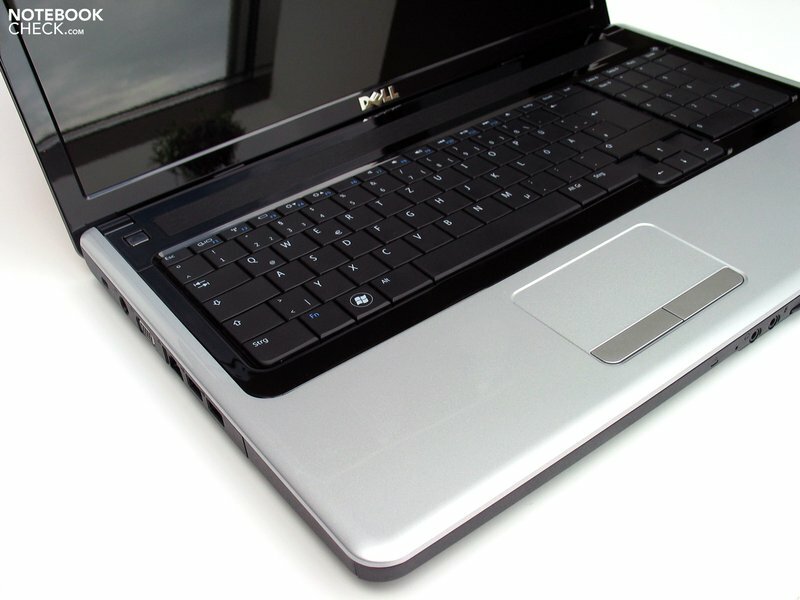 Basically, the observed temperatures of the Inspiron 1750 always stayed within a frame. 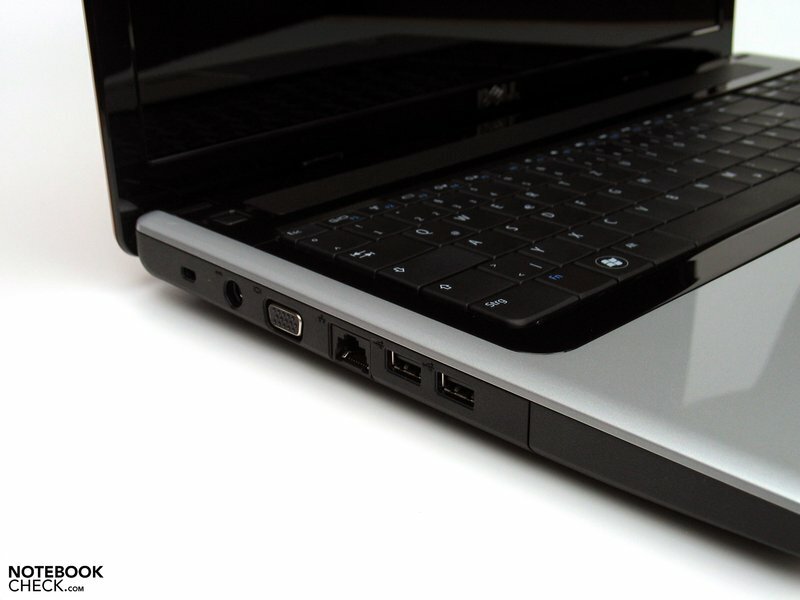 (+) The palmrests and touchpad are reaching skin temperature as a maximum (33.9 °C / 93 F) and are therefore not hot. (-) The average temperature of the palmrest area of similar devices was 28.2 °C / 82.8 F (-5.7 °C / -10.2 F). 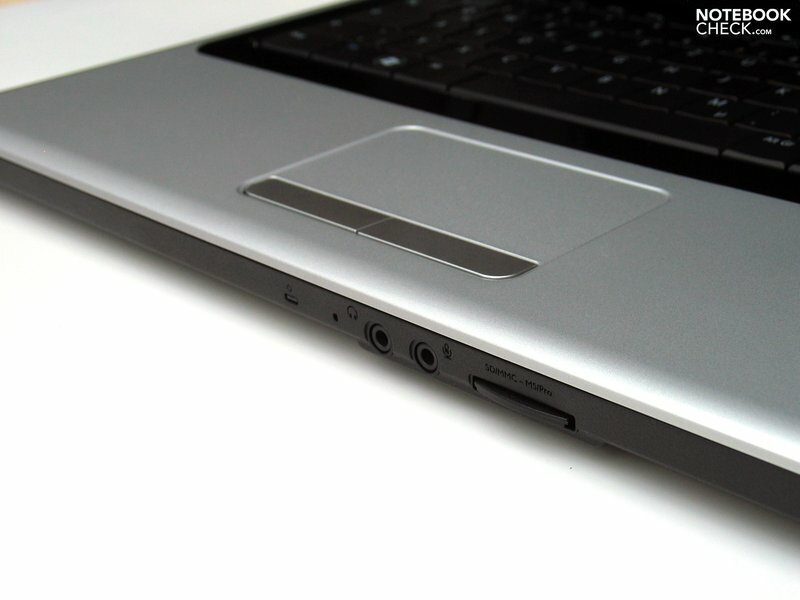 The Dell 1750's sound issue is taken care of by two speakers left and right above the keyboard. Their sound might be described as somewhat tinny and lacking bass, but they are very well suitable for undemanding background music up to a moderate volume. The given 3.5mm headphone-out delivered a clean signal, which should allow for connecting a headset or external speakers. This ought to be taken into consideration, particularly in the configuration with the full HD display and BluRay drive, as the sound quality of the integrated loudspeakers otherwise wouldn't be just to the offered cinema feeling. Our test device has been fitted with a 48 Wh battery (6 cell). 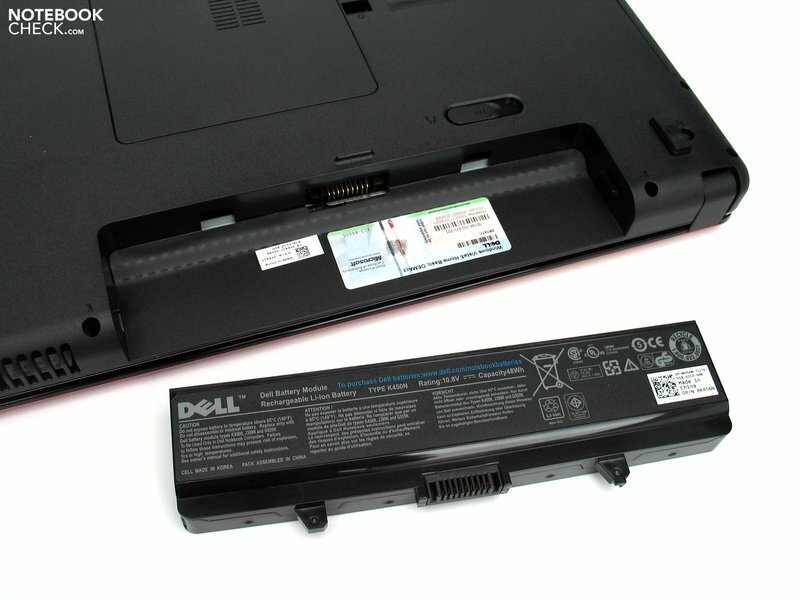 According to Dell, the Inspiron 1750 can also be equipped with a smaller 4 cell battery or a larger 9 cell battery with a capacity of 85Wh. The Inspiron 1750 could reach a result of 217 minutes in the test for the maximum possible battery runtime (BatteryEater Reader's test, min. display brightness, energy savings profile, WLAN off). In opposition to this stood the minimum possible battery runtime with load (BatteryEater Classic test, max. brightness, high-performance profile, WLAN on) was merely 82 minutes. However, the practical runtime in WLAN mode would be of interest for the user, which was 195 minutes at maximum display brightness and a balanced energy profile, equaling a bit more than three hours. DVD rendering with the same settings let the runtime sink to a still reasonable 155 minutes, which should suffice for most movies. 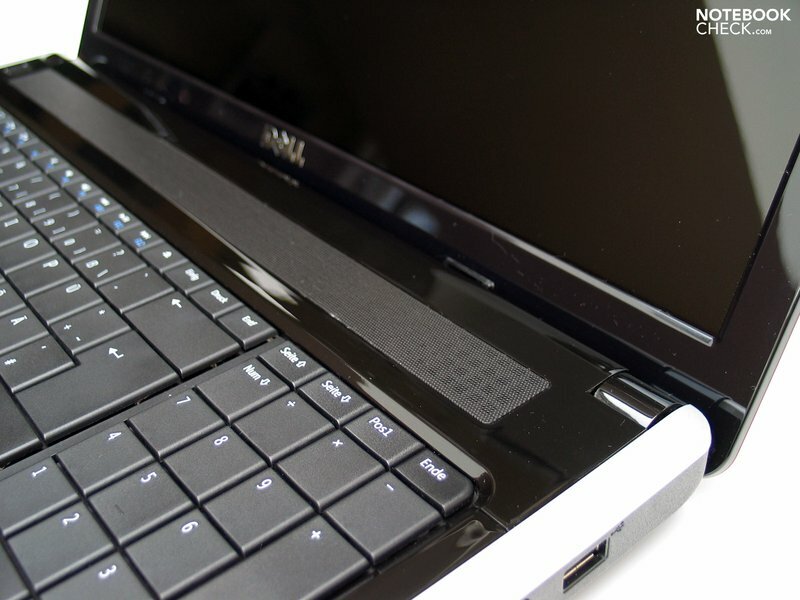 The Dell Inspiron 1750 aims primarily at users with the need for a big display in order to almost completely replace a desktop with a notebook. At the same time, the target group shouldn't have special requirements on a PC and principally use basic functions like mail, internet, word processing and image editing. 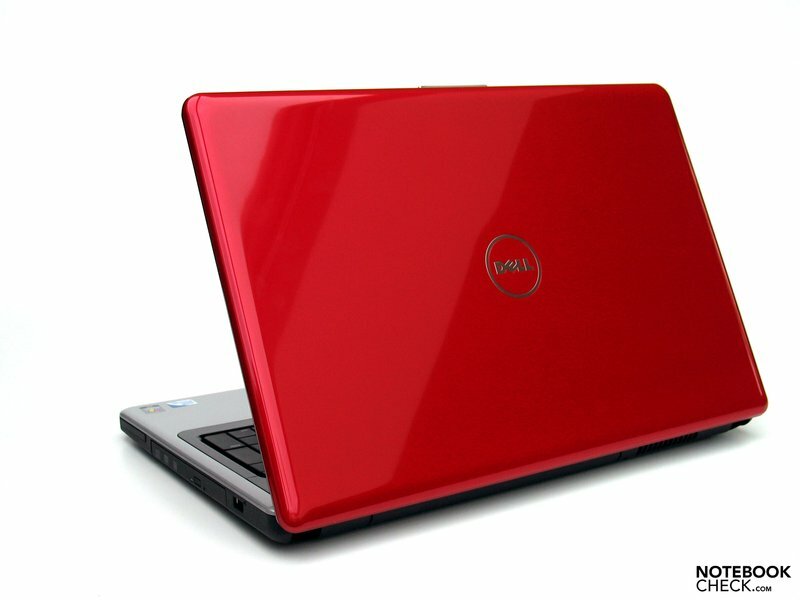 Moreover, the price, which plays a major role in the Inspiron 1750, represents an especially important criterion. The user profile for potential customers for the Dell Inspiron 1750 is actually already well portrayed with this. The device doesn't have any highlights in view of the case, design or connections, but the compulsory quota is complied to. This also applies to the input devices like keyboard and touchpad. 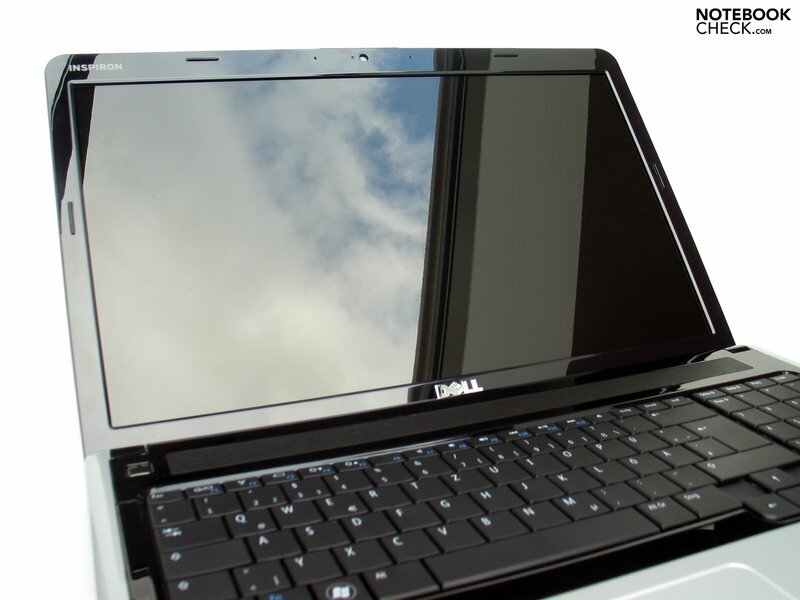 As to the display, Dell sets on a 16:9 HD screen with a resolution of 1600x900 pixels in the basic configuration. However, the upcoming full HD boom will also have justice done shortly, as a correlating display should be released in September. In connection with a BluRay drive, the Inspiron 1750 will turn into a mobile cinema - with exception of sound rendering. Cineastes should definitely fall back on an external sound rendering solution, as the integrated speakers aren't able to provide for an requisite atmosphere. The performance reserves only cover basic office applications and light multimedia fare. If the notebook is equipped with a stronger processor and the equally available starter graphic card from ATI, the overall price quickly reaches that of the better suited Studio line. 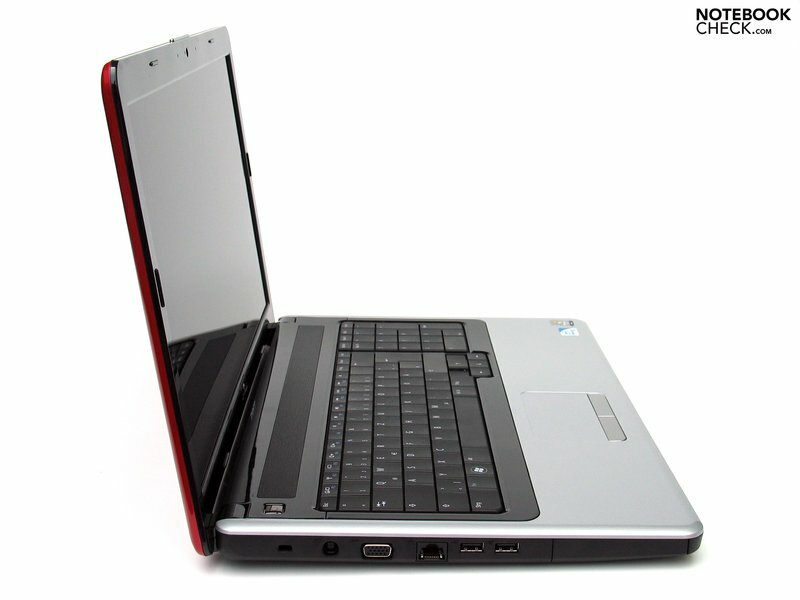 To be pointed out positively about the Inspiron 1750, are the low heat and noise emissions and the very adequate, for a 17 inch notebook, battery life of up to three hours and more, if the 6 cell or even the 9 cell battery have been selected. 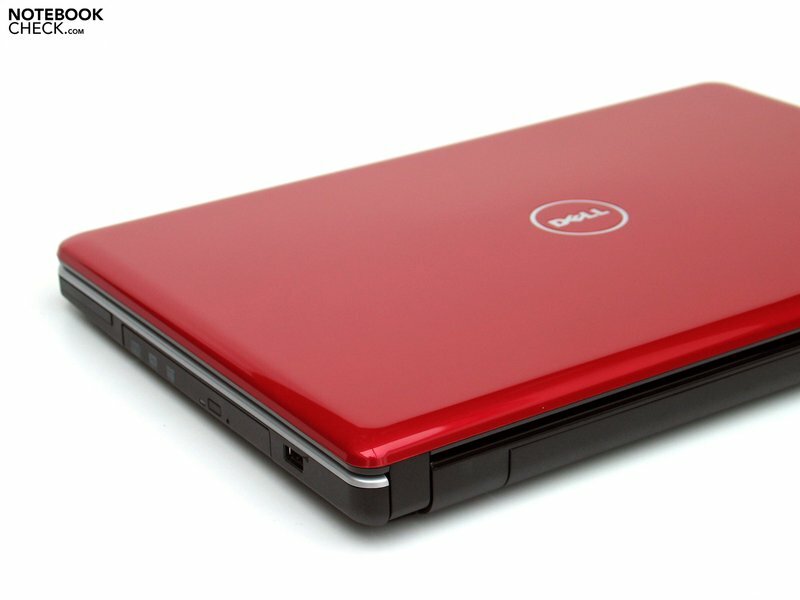 The Inspiron 1750 can then also be used for a respectable time away from a power outlet. ...and have optionally a resolution of 1600x900 or 1920x1080 pixels (full HD). 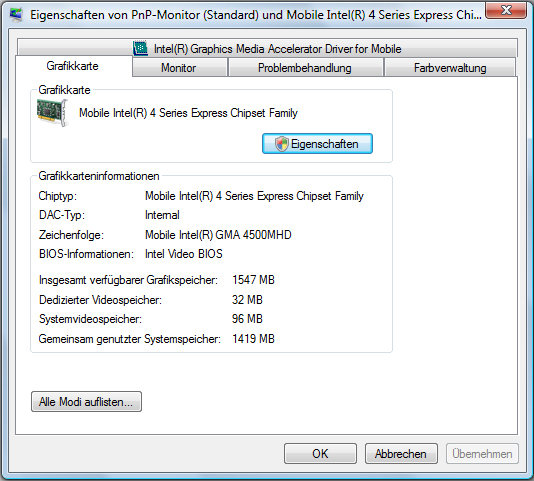 ...and equips these with the latest Penryn processors and graphics either from Intel or ATI. The well-accessible RAM slots have a maximum of 8GB, but the use of these doesn't seem sensible at the moment. The integrated hard disk with a gross capacity of 320 or 500 gigabytes is also accessible without problems. The system fan always stayed unobtrusive in the background in office mode and the notebook was overall very quiet. The surface temperatures always stayed within a limit, too. The integrated loudspeakers couldn't really work up any enthusiasm, and the desire for external sound sources turned up quickly. 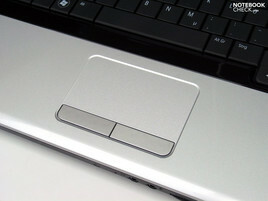 We found the given touchpad especially agreeable, which presented itself as a worthy mouse substitute in the test. The rest of the case, in opposition, turns out almost conservative both optically and haptically. In view of stability, the case can at best be called average, as well. The connectivity has also been economized. 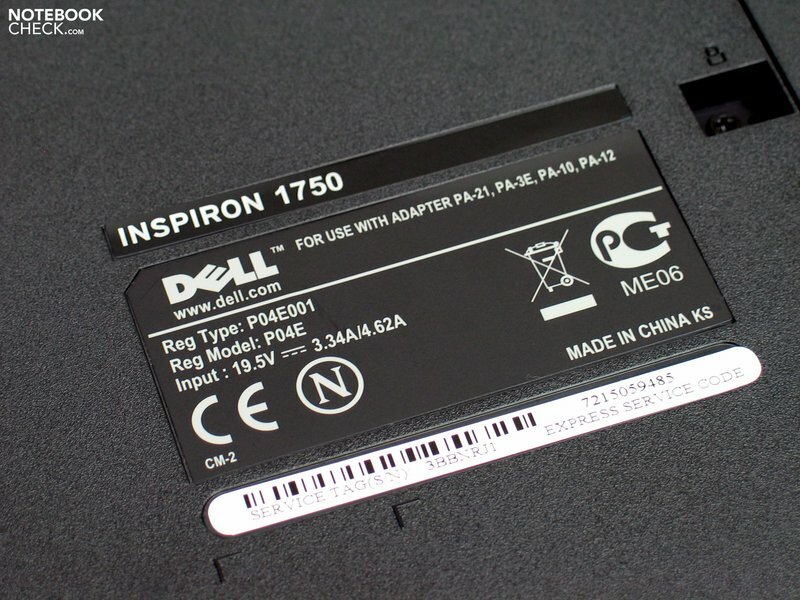 The Inspiron 1750 only has the most important basic connections, comparable to current netbooks. A 7in1 media-cardreader placed on the front edge is also part of the package. ...and additionally places a numerical block beside the standard keyboard unit. 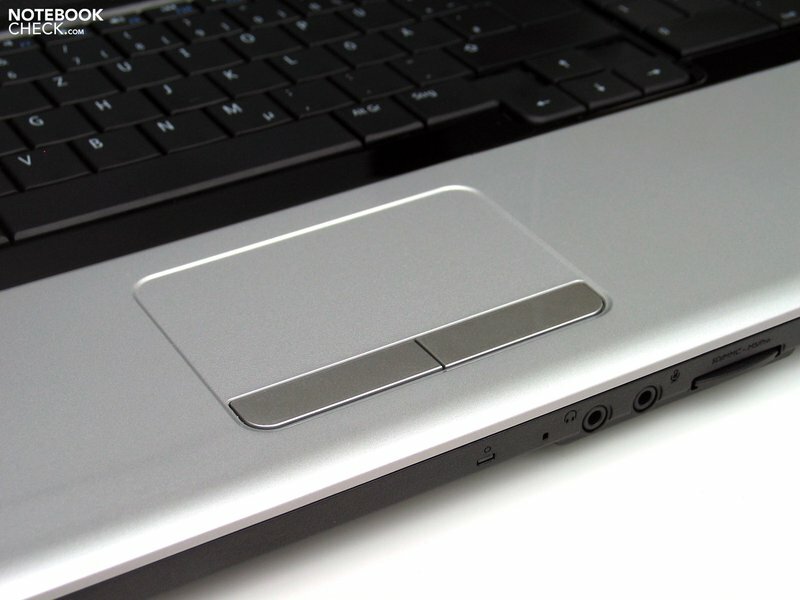 The keyboard's typing feel turns out adequate and discerns itself by a evident pressure point. The battery life of up to 3 hours and more is quite alright for a 17 inch notebook. There is also a large 9 cell battery available. 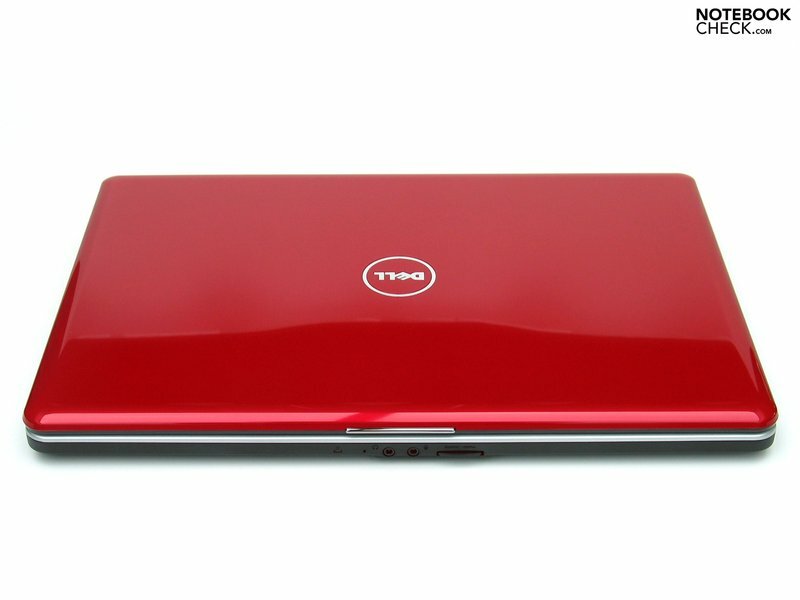 The Dell Inspiron 1750 concentrates on the most vital - office performance and much display at a low price. The one or other additional connection, a bit more graphic power optionally, at least on the middle class level. With merely a bit over three kilograms, the 17 inch notebook is only a hint heavier than many of its 15 inch colleagues and has an equally attractive battery life for that.